it’s pretty easy to get a play count screenshot on last.fm…. 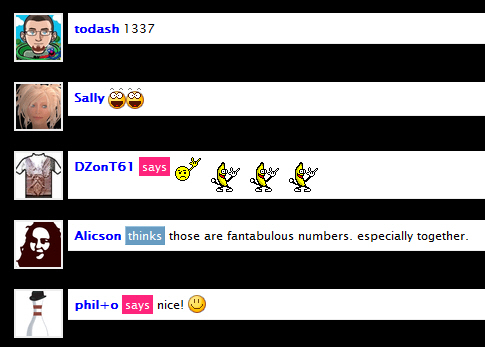 but you need to be lucky to be online at the right time to capture a nice number of your reputation total on TheSixtyOne. Let me document my 10.000th play on last.fm before I forget… I reached this milestone 2 days ago and I did not scrobble any play history when I signed up. Usually, I don’t pay much attention to my play count and it was pure coincidence I noticed my 10.000th play. Listen to Paper Gown on TheSixtyOne. 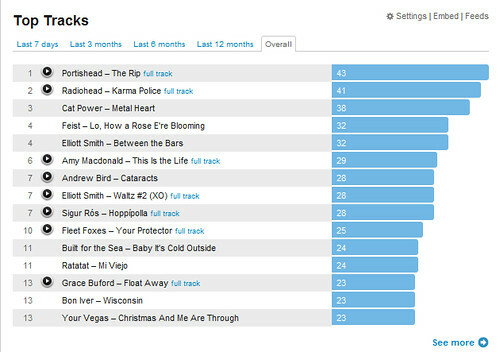 I love last.fm, because it keeps my music listening stats ORGANIZED. Here are 3 snapshots I took on New Years Eve 2008. 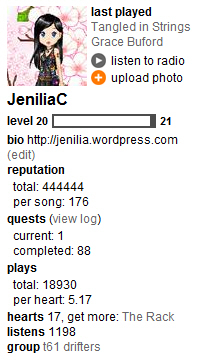 The one above shows my play count and some other irrelevant info. 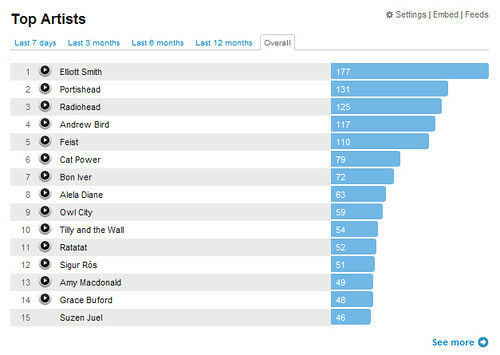 I’m sure Elliott Smith and Radiohead will stay in the top 10, I am not sure about the other artists. Let’s see what the new year brings. Interesting, a Christmas song has made it to the TOP 5 ! Feist – Lo, How A Rose E’re Blooming, my most popular blog post, btw.